How do I set an alarm level on the DASH2 PRO? Enter the DASH2 PRO configuration tool. 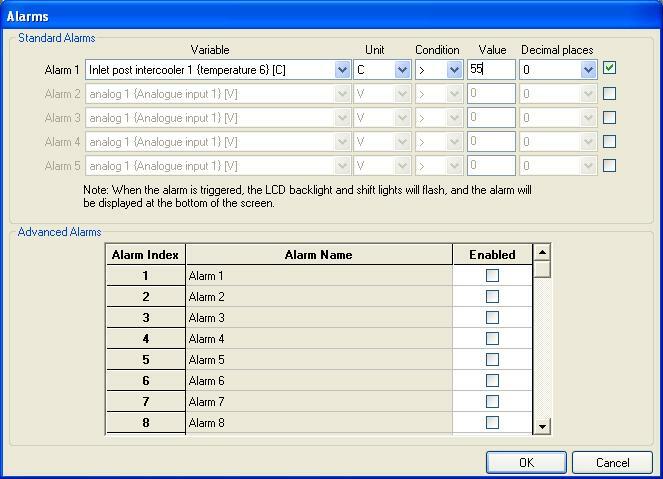 Click on the �Alarms� icon on the right hand side. For more information on alarms and details on the advanced alarms options, click here.